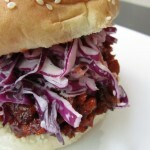 Seitan Recipe Easy – Vegetarian Barbecue Recipes – Ribs Recipe | Cook Eat Delicious! Finger licking good Barbecue Ribs! 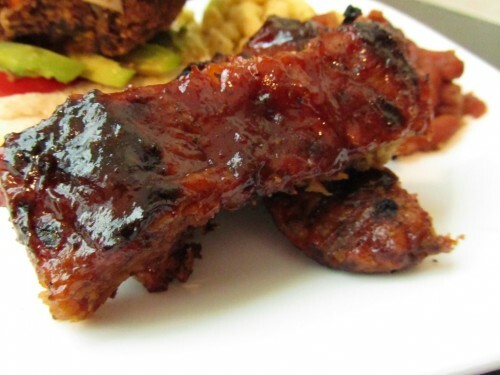 Oh, and these are Vegan Ribs! Who would’ve thought, right?! 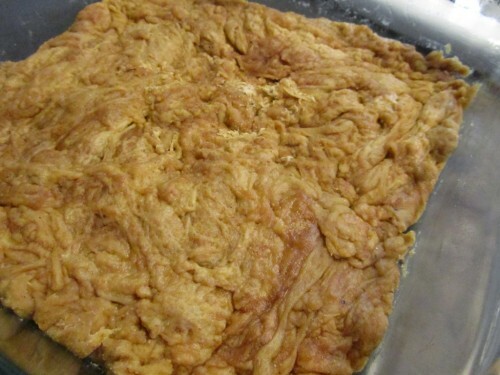 I have been curious about Seitan and wondered what it tastes like really. I didn’t think I would be able to find any in my town here in Mexico but I gave it a shot and yes! 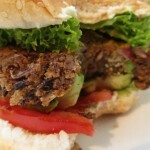 Vital Wheat Gluten (Seitan) is available at a little health food store not too far away. So first things first, we have to barbecue this stuff up. I mean you can throw anything on a charcoal grill and it will taste good. Cooking these up require some baking time and then a little grilling time. The anticipation was killing me. As soon as they were off the grill I took a piece of the corner rib and popped it in my mouth. Haw…Hawhaa…HOT! I basically burned my mouth insides pretty bad! Don’t do that ladies and gentlemen, wait for the food to cool. Delicious Rating: So how do they taste? Like rib meat! Believe it not, I am serious. Rib meat without the bone. The second time I made these for a BBQ with some friends. One thought that they were actually ribs and I had taken the bones out! I think grilling them over charcoal really infuses that deep BBQ taste. Plus, the sauce was super delicious so nobody was thinking that it wasn’t real meat. So I like seitan ribs! I am excited to cook more with this vital wheat gluten and share my delicious (hopefully) easy recipes with you! Cook for an hour stirring frequently. Lightly oil an 8x8 baking dish. Combine the dry ingredients, first 5, together in a large bowl. In a small bowl combine water, tahini, and soy sauce. 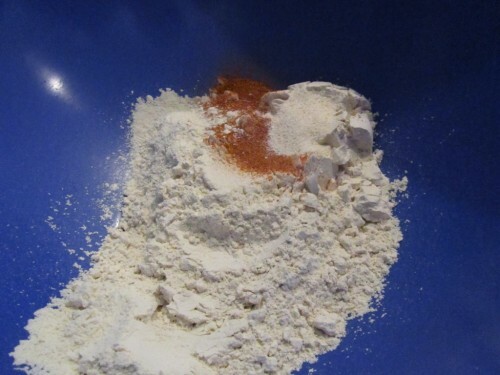 Add wet to dry ingredients once just combined start to knead the dough lightly until all is well combined. Put dough into baking dish and flatten it out to evenly fit in pan. Cut into 8 strips and then down the middle to form 16 'ribs'. Bake for 25 minutes and prepare grill. 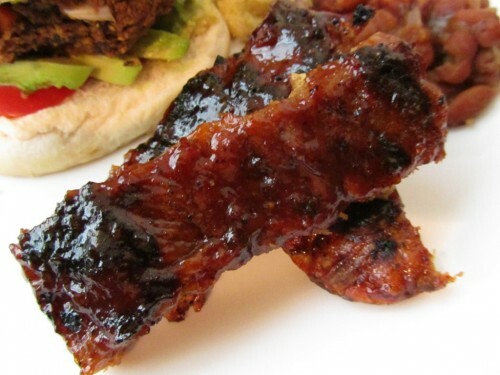 Remove 'ribs' from the oven and gently re-cut the strips so that they will pull apart easily after being grilled. Generously brush with BBQ sauce. Place 'ribs' BBQ sauce side down on the grill. Brush remaining side with BBQ sauce. Grill each side until it is nicely browned or charred, based on your preference. If you let the liquids and wheat gluten sit together for too long it will become an unstretchable dough, so work fast once combined. When I cut the seitan into strips, It could see that the consistency was so similar to meat. Pretty amazing. They smell so good cooking over charcoal. 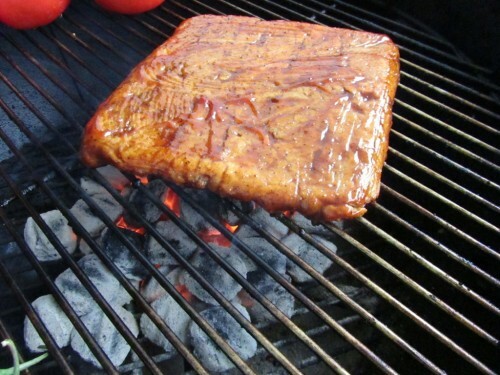 Plus the grill marks give that flavor of bbq’d meat that you can’t get off of any gas grill. 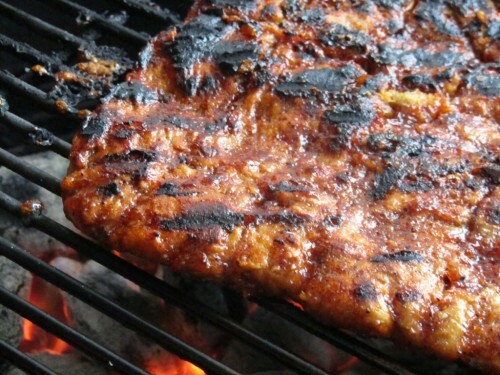 wow..the vegan seitan ribs, look just like real meat. Bookmarking…thank you for sending it to Serve it – Grilled. I know Denny! I still can’t believe that these ribs are made just from some gluten powder! 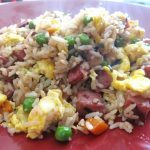 I made these last night and they were great! I used my own BBQ sauce, but the followed everything else. We loved them, thank you! I’m interested in trying this recipe. I hope that it taste as great as the pictures look. They look like real ribs. I can’t wait to make them. They are great! Let me know how they work for you Daniel! Hey! I’ve made these twice now – the first time I used a different spice to the smoked chipotle powder because I can’t find it here and it was MENTALLY hot like… take a bite and then down a pint of water hot! I also couldn’t find a couple of the ingredients for the sauce and I’m not keen on the result but that’s probably just me and it’s probably because I’m not a huge fan of the mustard part! I’ve just made them again and am about to grill them but I’m going to try and keep half out (they’ve been baked in the oven already) because there’s no way I can eat a whole batch straight away and I don’t want to waste them! Any idea if it is ok to keep them for a while and then bbq them in a few days/in a week? Can I freeze them to keep them longer or should I just keep them in the fridge? Leave the oven baked in a refrigerator for up to 4 days Jess. I hope the second batch wasn’t as spicy! Love this recipe, Thank you! I found that I liked the ribs even better when they were leftovers. Great sauce, have made many times already. I did use less black pepper as the first time it took my breath away, haha! 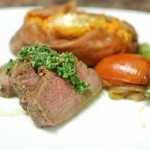 I am so glad you love this recipe Nicole, you’re welcome! I haven’t had the ribs as leftovers but am thinking of making an extra batch next time for the next day. Thanks! 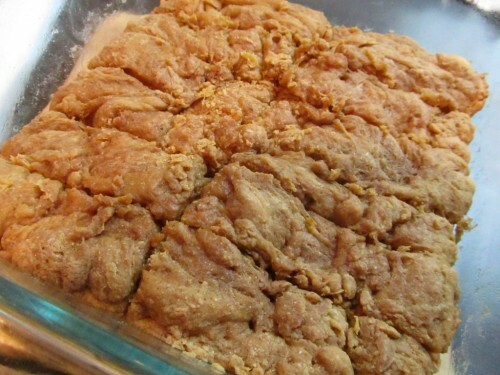 Making this tonight but why is my seitan so watery after kneading do I add more VWG? Still haven’t accomplished a good seitan “rib” used smoked Pap instead of chipolte and some liquid smoke also instead of tahini but only a lil amount. Otherwise if it turns out as good as my hands smell, I’m excited! Thanks for the Recipe! Are you using flour or 100% Vital Wheat Gluten? With VWG the seitan shouldn’t be watery at all. Let me know how they turn out Jaclyn! Took some leftovers to work today, people could not believe it was not meat. Glad it was enjoyed Ania! I rate this recipe 5 stars! For some reason it won’t let me rate it. I just made these for a practice run but after I baked them I stuck them under the broiler with sauce on them. They were tasty and I plan on making some to bring to a BBQ with family and friends next time. I’m going to save some for leftovers for tomorrow to see how they taste the next day. I’m waiting for my daughter to get home from work to see if she likes them. We’ve been vegan for about 3 months and love it! This was the only the second time making seitan, the first time I made breakfast sausages but they came out really rubbery as opposed to chewy like the ribs. I think I will use your liquid measurements from now on. I’m going to try making the unturkey next to see if it will work for thanksgiving. I love learning to cook all over again with vegan foods! I wish you the best in your vegan adventures Gina! Mine came out thick, I tried to spread them out in the pan, I don’t know if they baked all the way through. …they we’re ok, but I think if I could make them thinner it would be better. 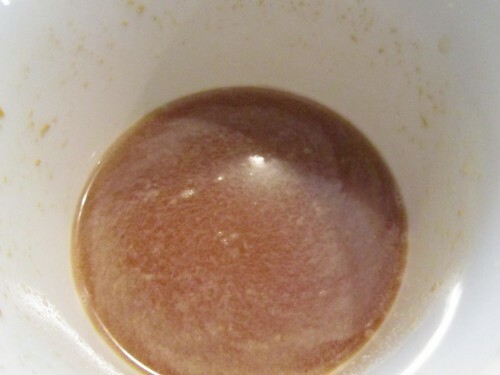 You can always add more liquid Deborah but once the liquid and gluten come together you have to work fast, otherwise the mixture will become too thick and tough to spread out. I was a vegetarian for several years in the early 2000’s and have been completating returning to that lifestyle for the last few months. This recipe has reinforced my determination to return to that healthy manner of eating. Thanks my Brother. It’s own again for me. To enjoy this type of awesome nutrional food I reccomend “The Veggie Wokery” in Cerritos, CA. If you reside in the Greater Los Angeles Area. Many thanks. This is as good as it gets. This is a 5 Star plus Page & Rating. Glad you enjoyed it Eugene! No ‘brother’ here, just a sister! 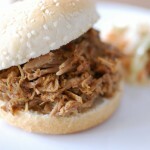 For the BBQ sauce – do you have to use Apple cider vinegar or can you just use white? Is there another sub for it? You can use white if you don’t have Apple Cider Vinegar. Hope this helps Vicky! This was a horrible failure. I used 100% Vital Wheat Gluten and the seitan was extremely wet! I ended up using more VWG to get it to thicken up. Put them in the oven for, oh, 45 minutes and they were still extremely wet. They are now falling through the grates on the grill and I have more of something resembling ground hamburger logs. Not good. That is odd, are you sure it wasn’t flour? Has anyone tried making and storing these in the freezer for an extended period of time.